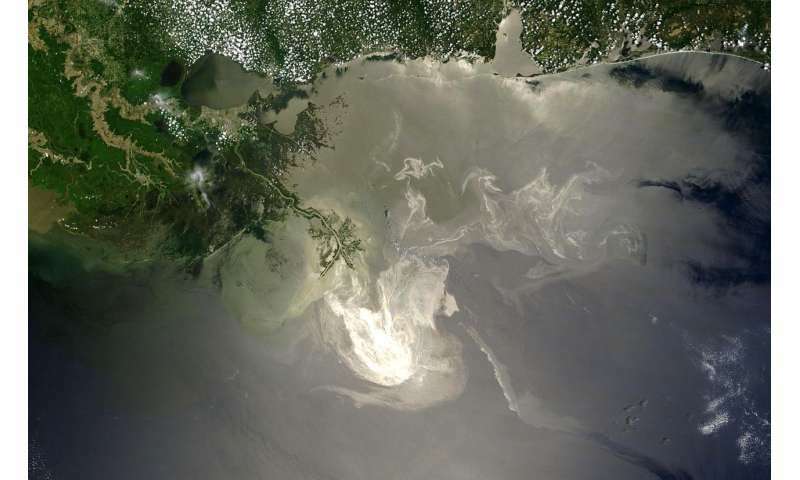 Spills of crude oil that devastate huge areas of the oceanic environment could be cleaned up by naturally occurring microorganisms. It's one application of new research into how bacteria break down oil, which could also help oil companies assess the quality of new reserves. In 2010, the Deepwater Horizon oil spill released around 5 million barrels into the Gulf of Mexico, becoming the largest oil spill in US history. In such a case, some of the oil can be cleaned up by skimming it from the surface, while detergents added to the water together with wave action can cause much of the oil to disperse as droplets. While this breaks up the slick, the oil droplets spread far and wide, becoming difficult to treat and creating pollution in wide areas of ocean. Now, researchers believe it may be possible to counteract this issue with the help of ocean bacteria which have evolved to consume naturally-emerging oil from underwater seeps. 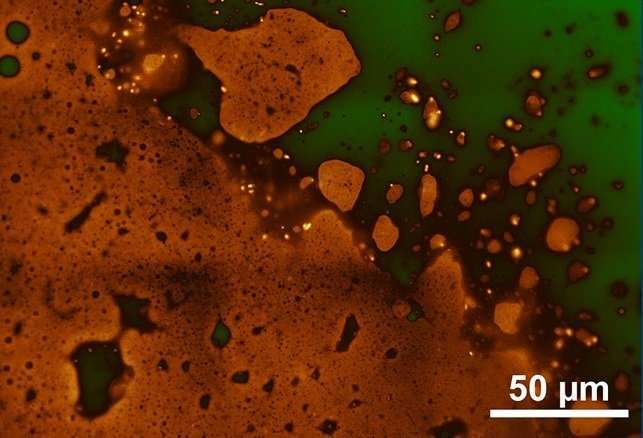 In an EU-funded project called OILY MICROCOSM, a team at the Technical University of Crete, Greece, are investigating how the bacteria help to break down oil in these droplets. "About 40% of the oil that ends up in the sea is from natural seeps," said Dr. George Kapellos, who works on the project. "So microbial species have evolved to degrade it." Problems arise when the concentration of the oil is very high and when microdroplets spread far and wide through the action of ocean currents. "We are trying to track the fate of the microdroplets when they are degraded by the microbes," said Dr. Kapellos, who is cooperating with scientists at the Massachusetts Institute of Technology. Although in its early stages—the project only began in November last year—he has already identified three potential mechanisms that allow the bacteria to break down the oil. The first involves the droplets dissolving in the water column and being consumed by the microbes as they do so. A second is that the microbes attach to the surface of the oil droplet and consume the oil without it needing to be dissolved. The third potential mechanism involves the formation around the oil of colonies of bacteria known as biofilms. "The first two mechanisms are quite well known, but the third is less well understood," said Dr. Kapellos, who is presenting his initial findings at the GoMRI Conference in New Orleans in the US which runs until 7 February. "One might think, the thicker a biofilm is (with a high number of) microbes, the faster the degradation of the oil droplet would be," he said. "But this is not necessarily the case, as biofilms also act as diffusive barriers that impede the dissolution of the droplet." "A biofilm that covers a microdroplet and grows thicker over time will accelerate the droplet shrinking rate only if oil is more soluble and mobile in the biofilm than in the seawater," he said. This could raise the prospect of exploiting these oleophilic (oil-loving) biofilms to help break down oil spills faster. The modelling work undertaken by Dr. Kapellos demonstrates that, when oil microdroplets descend on the sea bed, they concentrate in a way that affects how microbes will break them down. "Just now there is no method for handling the dispersal of droplets in deep waters below 300 metres," he said. "It is important, as microdroplets are known to be more toxic to fish, sea mammals and invertebrates, and spills can have major impacts on local economies that rely upon them. "We are hoping that the fundamental work we are doing will have a positive impact on developing methods that combat oil spills in the sea," he said. Yet, although microorganisms that eat oil could help to clean it up in places where it is not welcome, they can also create a major headache for the oil industry. Recent research by scientists in Germany shows that microbes appear to live within oil reservoirs themselves—suspended within microscopic droplets of water, hundreds of metres beneath the sea floor. Professor Rainer Meckenstock, a microbiologist at the University of Duisburg-Essen, believes these complex microbial communities became trapped with the water in the oil long ago and thrive inside the water droplets as miniature ecosystems. It is an extraordinary discovery, as many scientists doubted life could survive in such a toxic, hostile environment. He is now leading a project about microbial life in oil called EcOilogy, funded by the EU's European Research Council, that is investigating whether bacteria commonly live within oil reservoirs and what role they play in degrading the oil there. "Oil reservoirs usually contain water," said Prof. Meckenstock. "The organisms in the droplets are mostly bacteria that are known in oil reservoirs and some of which we know as typical hydrocarbon degraders." As the droplets of water in the oil must be saturated with oil, it makes the system very toxic. "It was really surprising to find these droplets so well populated with a vibrating microbial community," said Meckenstock. Unfortunately, a thriving community of micro-organisms can dramatically reduce the quality of the oil. In the Athabasca oil sands in Canada and the Pitch Lake in Trinidad, for example, the oil has degraded to the point that only low-grade bitumen remains. If bacteria are found to be responsible for causing this kind of degradation, it could help oil companies assess how biodegraded a new oil reserve might be. Not only that, Meckenstock also believes the microbial-filled droplets also provide another unique research opportunity. He compares the droplets to discrete mini-planets floating in space—similar in many ways, but totally isolated from each other. Studying how the bacteria evolve in such droplets could provide new insights into how microbial ecosystems develop. "There are hundreds of different microbial species in each droplet," he said. "The droplets constitute mini-ecosystems that are totally separated from each other—a unique feature for microorganisms on this planet. "This enables us to study fundamentals of microbial ecosystem assembly."